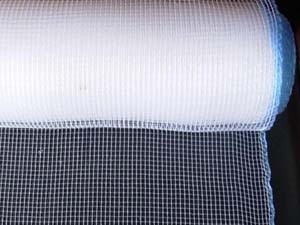 ﻿ Plastic Window Screen-HEBEI OKE MESH CO.,LTD. We are the professional company who are manufacturing the plastic window screen. At present, we are developing the plastic window screen products, trying our best to get the most quotients in the plastic window screen market. Now we have the mature technology about it. The quality of the plastic window screen has got the customers?highly evaluation and we also have the competitive price. The introduction is as followed. We use the new polyethylene material, not the reborn plastic, though it is cheap, it has many flaws. If we use it, the breadth will be shrink, and the net surface will not unknit.after some days ?solarization.It will bring a strength that may destroy the wire netting in the processing of shrinking. 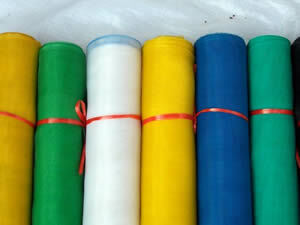 Due this reason, we use new polythene material instead of it.We ensure that,our net surface is unknit, not shrinking. 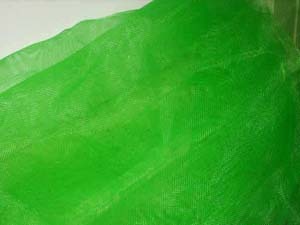 We can supply many colors,such as green which contains bottle green,aqua,grass green, blue, yellow, red, black. We can satisfied you if you provide the sample. Plastic Window Screeng(plastic wire mesh, plastic wire netting) can be divided into plain woven and interweave, about the plain woven wire netting, longitude and woof is single, and wire is thick, the gridding is equal and beautiful.It can instead of fiberglass window screen. 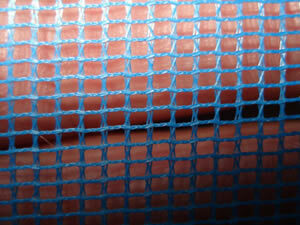 About interweave wire netting. the woof is single and longitude is dual which twist the woof to the interweave wire netting.The wire is thin, little material used,so price is low. Our plain woven plastic window screen exports to Occident such as Spain and the interweave one to Africa. About the plain woven plastic window screen, the aperture is 14,16,18,20,22,24 mesh, wire diameter is from 0.18mm to 0.40mm,the breadth is from 50cm to 280cm. About the interweave woven plastic window screen, the aperture is 14 and 16 mesh, wire diameter is from 0.13mm to 0.21mm,the breadth is from 50cm to 150cm.